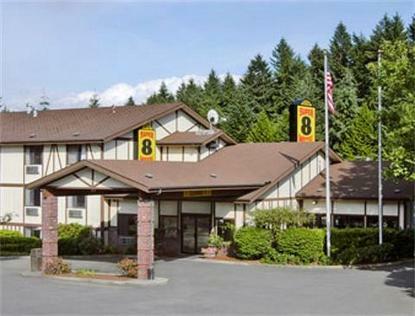 The Super 8 Lacey offers numerous amenities such as indoor heated pool and hot tub, free high speed wireless internet, free Super Start Breakfast, 24 hour lobby coffee, 24 hour front desk, copy service, fax service and a friendly staff. Last but not least, clean, comfortable, spacious and affordable hotel rooms. Lacey is centrally located half way between Seattle and Portland with easy access off Interstate 5 Exit 109. The area surrounding Lacey offers golfing, hiking, fishing, shopping, movie theaters, restaurants, St. Martins and Evergreen State Colleges. Special Military & Government rate available.